Since yoga has become mainstream in the West, more and more people are experiencing the benefits of this powerful practice. However, some of the principles of the original teachings have gotten lost in the modern yoga. 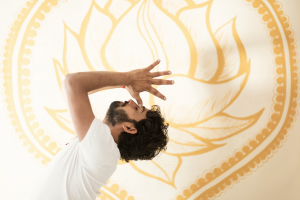 He combines asanas (physical poses), pranayama (breathing techniques) meditation and ancient Indian mantras in an accessible and playful way. His classes have a focus on connecting breath with movement and can help with stress relief, anxiety, injury or illness recovery, and bring harmony to body and mind. For more information on Hatha Yoga please see the Hatha Yoga Page. Ravi teaches group classes throughout London and private classes at his place in Richmond, West London or he can travel to a location of your choice. Classes are generally 60-90 mins and are suitable for all levels. Specialisations: Traditional Hatha Yoga, Meditation & Pranayama, Advanced Yoga, Beginners Yoga, Senior Yoga, Yoga for injury/illness recovery, Stress and anxiety relief, Ayurvedic lifestyle. For more information (prices, availability and bookings), have a look at the Yoga Classes page. Ravi Dixit was born in India into a family of many generations of astrologers and spiritual teachers and from a very young age he grew up with a yoga practice as part of his daily life. In his early twenties, he moved to Rishikesh and lived at the Mahatma Yoga Ashram where he studied Hatha and Ashtanga Yoga with well-respected Guru Yogendra singh Negi (Yogi ji). During the past 10 years, Ravi has been very fortunate to have had the opportunity to teach to thousands of students from all over the world at Ashrams and Yoga retreats across India. 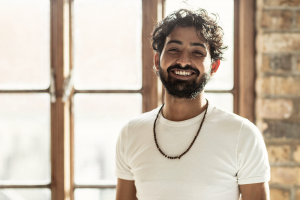 Up to recently, Ravi worked as the resident teacher at Little Cove Yoga, voted as one of the best yoga schools in Goa and has been leading workshops in UK, Germany, France and The Netherlands. He is currently living in London. Ravi is an experienced teacher from India with a friendly teaching style, accessible to both beginners and very advanced. 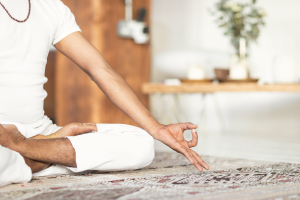 Ravi’s classes have a focus on connecting breath with movement and will help with stress relief, anxiety, injury or illness recovery, and bring harmony to body and mind.